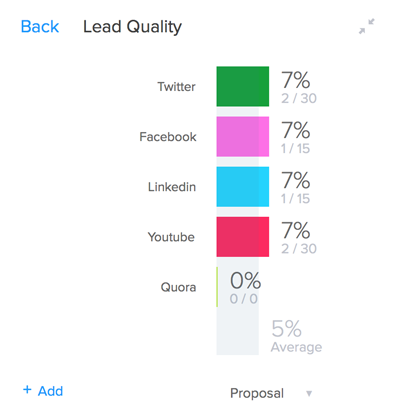 You can choose groups in the system and the Marketing Dashboard will show and compare the lead quality, campaign revenue and campaign contribution. So you don't have to do it manually - YAY! 1.Go to Marketing Dashboard ( If you are using a different view, you can change it by going to App Settings > Users > User Management). Click on the '+' (Add icon). It will open a pop-up. All possible groups that you can select will be displayed in the left column. Select from that list, clicking the '+' (green button). All current groups will be displayed in the right column. Remove from that list, clicking the '-' (red button). When you have selected from the left list groups will be added to the right column, and they will show as grey on the left column. 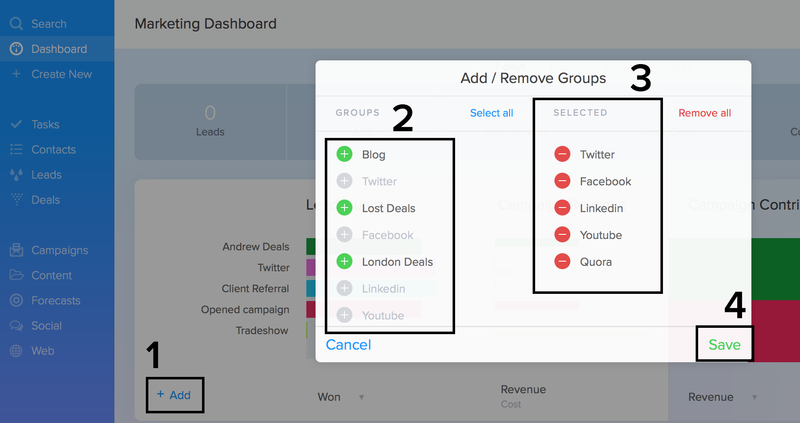 Now you can filter those groups based on different parameters. If you need a closer look, hover over any of the three titles section and click on the expand button that will appear next to them. 8. All the details will be displaying in a larger view. Now go make use of the extra time you have gained not having to do that every week, month, year... I suggest making a coffee. I like mine with milk, no sugar.